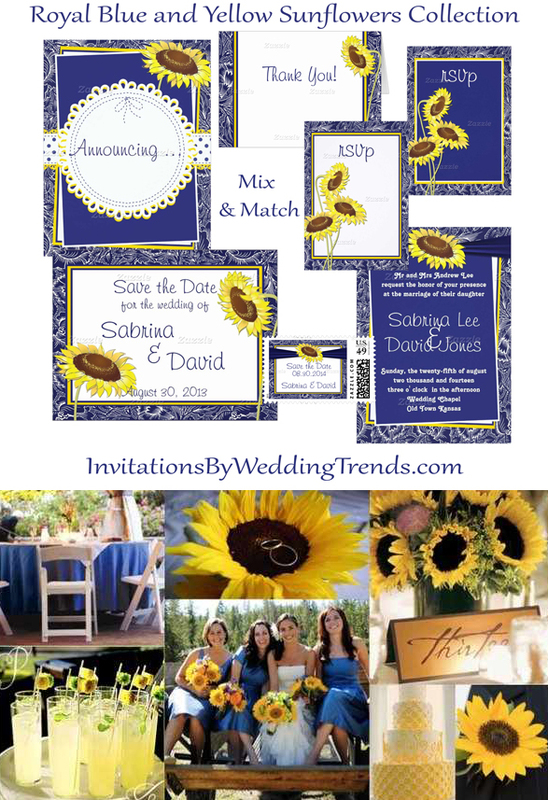 Country Wedding or Garden Wedding Royal Blue and Sunflowers can be the ticket to a bright and fun wedding theme. 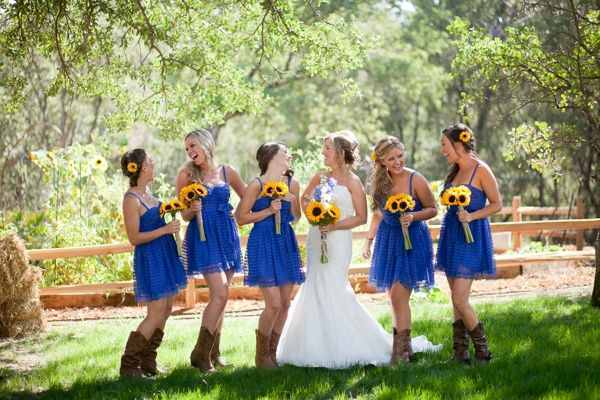 Bridesmaid dresses in cornflower or royal blue, and the bride with a touch of blue in her hair ornaments, all the ladies holding beautiful country sunflowers with royal blue ribbons. What could be more joyous?